This information is provided by Triangle Marine. Please confirm all details direct with them prior to booking. 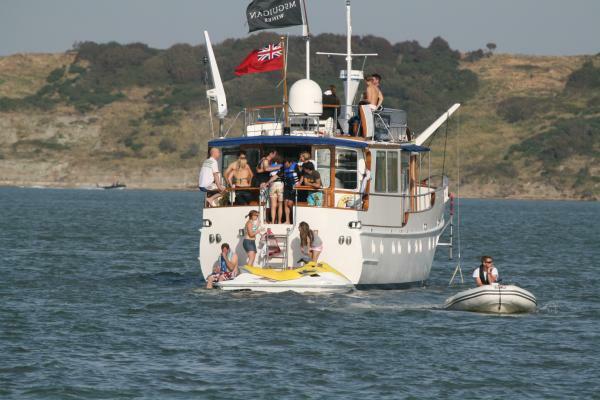 Yachting Limited neither endorses Triangle Marine nor guarantees the accuracy of this listing. The Best in Boat Charter and Private or Corporate Entertainment! 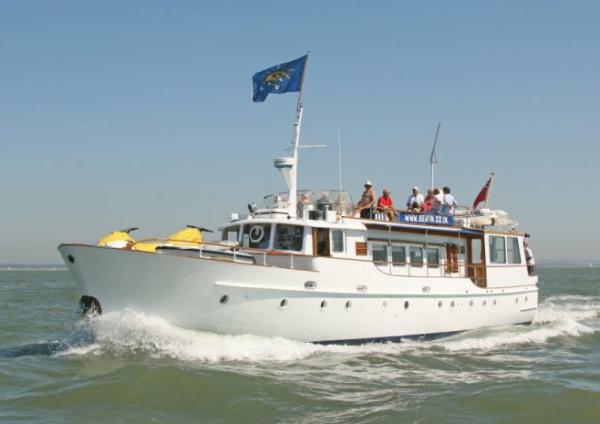 Our 75 foot Motoryacht Seafin, one of the most popular charter boats on the South Coast, is based in Hamble between Portsmouth and Southampton. Seafin has two 3-person jetskis for fun on the water and is MCA certified to carry 30 guests. Our 4 crew will provide you with the best, most enjoyable and most productive corporate or private entertainment day that you could possibly imagine. Working with Triangle and Seafin is a very cost effective way of delivering your event within a very reasonable budget. Our sailing season commences on 1st April and ends on 31st October. Call or email now for a brochure and information pack. The details of the yachts below are indicative. The specifications (including the number of berths, cabins and heads) of Triangle Marine's yachts may vary. Please confirm the details with Triangle Marine. There are no user reviews for Triangle Marine yet. Be the first to add a review.